Donita Ballet School provides professional and friendly dance classes for children and adults. Ballet for kids, adult ballet and a variety of classes in modern, jazz, lyrical dance, musical theater and Iranian dance make our school one of the best in the Toronto, North York and Thornhill areas for learning the basics of dance classes. Our skilled teachers give confidence to any dancer, leading to faster learning and enjoyment in dance, and greater exam success. Our performances are anticipated with pleasure by dancers and audiences alike, because it’s obvious just how much fun every dancer experiences with our lively school. Donita Ballet School has been cordially invited to bring her students to France on October 2015 to celebrate the 100th anniversary of the passing of the great French composer Emile Waldteufel. As well as being the artistic director, Donita also directs the school’s extensive ballet program. Her training is compiled from such prestigious international dance companies as L’Opera de Strasbourg in France, Les Grands Ballets Canadiens, The Canadian Opera, Canadian Silent Players, The Fifteen and The National Ballet of Canada. For over 30 years now she has maintained a strong dance organization, training her dancers with impeccable technique. Her personalized corrections and hours of dedication are what make the school stand out among competing dance studios. For years Donita Ballet School won countless gold medals during competitions proving the unique quality of the school. Under Donita’s direction, her school and her dancers have always had a strong undying love for the art of classical ballet and dance. Donita has also been an adjudicator in various competitions in Canada and a choreographer for year end recitals of several dance schools. Michelle Fox: holds a Bachelor of Fine Arts degree from Ryerson University with a major in performance dance and is the Artistic Director of Intrinsic Dance Project, a contemporary dance company based in Toronto. With Intrinsic she has presented works for dance festivals, showcases, runways and has performed in several dance film and dance photography projects. Michelle is currently the Ballet Director & Boutique Manager at Front and Centre Dance Academy, the summer dance director & program coordinator at Thatz Showbiz and also teaches dance and fitness at Donita Ballet School and Detox Fitness Club. She has received awards for her choreography and is thrilled to get to share her love of dance with the future generation of performers! Golnesa Amani began her dance training at the Donita Ballet School in 2005. She currently works as a language, fitness and arts instructor for numerous organizations including the City of Markham, York Catholic District School Board, and Explore It! Golnesa is the director of Boostan Multicultural Collective (BMC); a local, grassroots organization which aims to help elementary school students explore social justice issues by providing fun and engaging lunchtime and after-school arts programs, performances and workshops. Iranian dance is BMC’s most popular program! 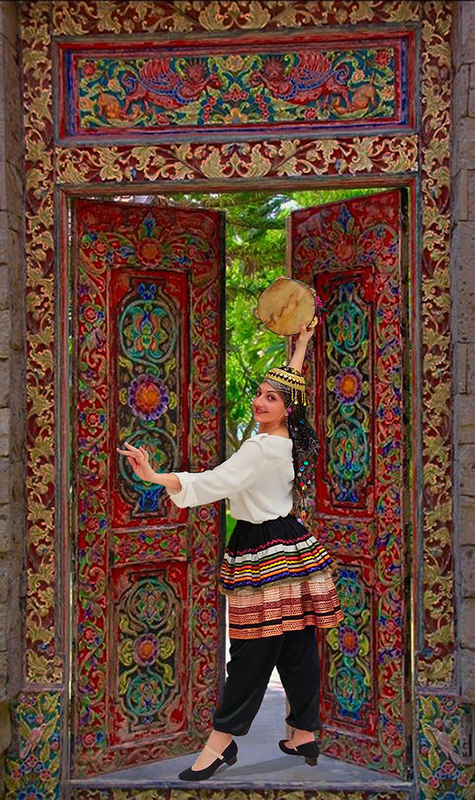 In August 2015, Golnesa was recognized for her dedication to Iranian dance when she was invited to participate and perform at the 2nd International Iranian Dance Conference hosted by the Iranian Association of Boston.